Drive Safer is a specialty driving school for teens (and drivers of any age) that focuses on teaching the critical defensive driving and car control skills they are NOT taught in drivers ed. In fact, teens are put behind the wheel without the skills they need to survive on the roads today. Driver education today focuses on basic operation of a vehicle and not on the critical skills needed to control your car. Teen crashes are the number one safety risk for teenagers today. 8 teenagers are killed every single day, and tens of thousands have severe injuries that ARE preventable. We’re on a mission to provide families – parents and teenagers – with the critical mental and physical skills needed to be safe drivers, and live long happy lives. How can I prepare my teen to be safe when behind the wheel? It’s a big and important question…with a fairly simple answer. Experience and lots of deliberate practice driving. Just like learning to play a sport, a musical instrument, sing, dance, cheerlead or anything you want to be good at – even math – it takes hundreds of hours of practice. In fact, many experts say that it takes 10,000 hours to master anything. DRIVING IS NO DIFFERENT. 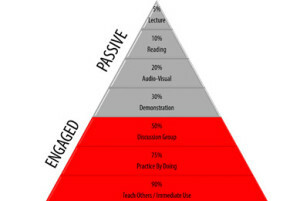 It takes lots of practice – deliberate practice, focus, and of course, the right coach. Even the best athletes in the world still practice every single day, and have a coach. The practice doesn’t just consist of playing the game. Practice consists of strategy, of drills, of repeating every single play – over and over again, until the level of proficiency is extremely high. And then, practice still continues beyond that! Most students today will invest over 15 hours each week between practice and games with any sport they play. Rarely do we place the same focus and emphasis on driving. Driving is much more dangerous and it is something most of us will do for the rest of our lives. Rarely do we become “great” drivers. The minimum investment of deliberate practice time for a new driver is between 50 and 100 hours prior to licensing, and then practice driving is still necessary. The level of experience is not typically met until a drivers 25th birthday. Further, the practice needs to consist of as many driving conditions and situations as possible, with the proper skills being taught and reinforced. That’s why we created Drive Safer – to ensure that you get the right foundation, the proper coaching and all the support you need. We urge you to invest the time, resources and focus necessary to keep your family, and our community safe! 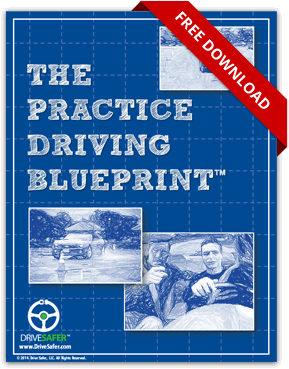 If you would like to learn more about the types of practice you need, and get some help putting a plan in place, click here to download our Practice Driving Blueprint™. Contact Us by Phone: 201-485-7792 or Email: info@drivesafer.com. When kids hit a certain age, its time. They’re going to start driving – whether you’re ready for them to do it or not! 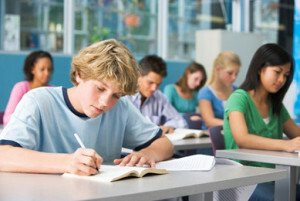 Do you remember what Driver’s Ed was like when you went through it many years ago? Unfortunately, it hasn’t changed much – and it needs to! Over 3,000 teenage drivers are killed every year, and nearly 300,000 are seriously injured! Driving a motor vehicle or being a passenger in a motor vehicle with another teen driver is the most dangerous thing a teenager will do. Teaching our teenagers to drive is an awesome responsibility, and most of us are not properly trained to do it. Drive Safer can help. Sign up for a Drive Safer Basic Car Control and Defensive Driving Course today. The way it works is that kids are taught how to operate a car – because that’s the requirement. 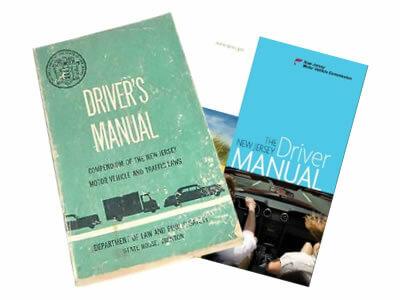 Most teens take 30 hours of driver’s education in the classroom and if they are interested in driving prior to their 17th birthday, they take a 6 hour behind the wheel driver training course from a licensed driving school. Then, the rest of the training is left up to the parents. However, there really is no handbook available for parents to teach them what to teach, how to teach it and even how much practice is enough! Most parents aren’t able to list the top 20 most important things to teach their teen about driving! Drive Safer offers ongoing training in the areas where young drivers are often left without experience – vehicle control, panic braking, hazard avoidance and skid control. Traditionally, these topics aren’t covered in driver’s education. It is left up to the parent’s to hopefully teach these critical skills. If any of these topics are covered, by a more advanced driver’s ed teacher, it is done in a lecture format, not with hands-on experience. This is hardly the training that provides inexperienced drivers the tools need to survive and have confidence. Drive Safer’s driving school hosts a defensive driving course that places teen drivers in these situations, and allows them to learn through experience. While many parents believe they can provide the training their children need, most do not have the necessary skills. It takes a professional to make a difference – one which can connect and use their experience and expertise to gain the trust of your young driver and instill the confidence and skills they need when an ordinary driving situation turns bad. Our program is provides an experiential learning model that helps drivers of all ages and we strongly encourage you to participate along with your teen. This shared experience will be eye opening, and provide you with valuable tools, tips and language to effectively use when cultivating young drivers, and will give you some great tools to use on your daily drive as well! Take a Car Control & Defensive Driving Course Today!